It’s our privilege to have given away literally thousands of Randy’s books to prisoners and chapel libraries over the years. These materials minister to a wide range of inmates, from those who are serving sentences for drug-related crimes to those who are on death row. 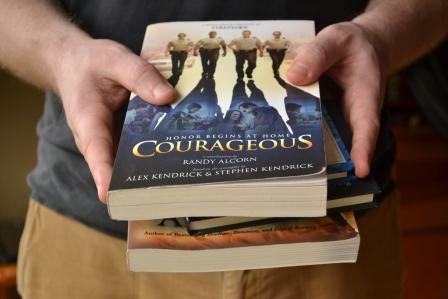 In 2011 alone, we sent out 4,090 books to 168 different correctional institutions. (That's double the number sent out in 2010!) The books are often shared with other inmates, so one book may be read by several people. Books are also requested for the chapel libraries and are often so popular that they're always checked out. If you would like to help us underwrite the cost of providing and sending Randy’s books to prisoners, you may donate online (choose the option "Books for Prisoners Fund" under Special Funds) or send a check to EPM designated “books for prisoners” on the memo line. 100% of the donations to this fund will be used to finance the cost of the books and materials, as well as the shipping charges. Pray that many men and women in our prison system come to faith in Christ. Pray that every book EPM sends out would be used by the Lord to touch and change lives. Over the years we’ve received hundreds of letters from prisoners requesting copies of Randy’s books, and we’re happy to provide them free of charge.